In the previous episode, we factored out an SvgCanvas class from our existing code. 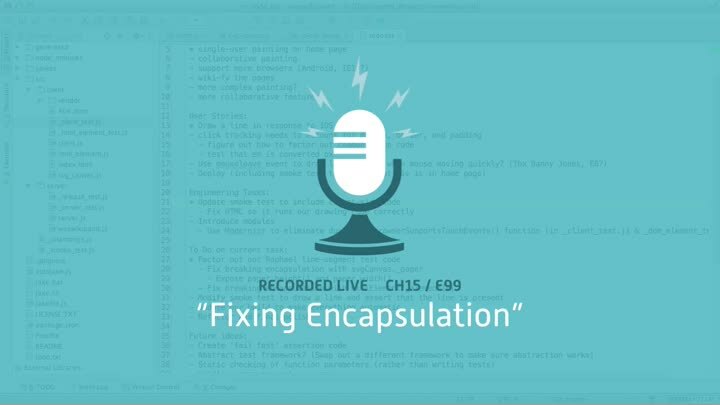 We took a few liberties along the way, so in this episode, we improve our abstraction to no longer leak implementation details. We also put tests around the class.